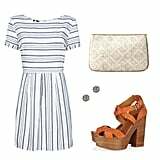 Summer Styling Workshop — 50 Foolproof Outfits to Try Right Now! 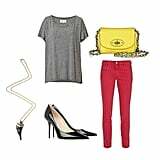 Avoid coupling your basic skinny jeans with a basic tee — the look will feel, well, basic. 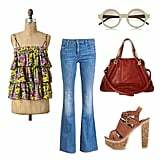 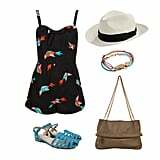 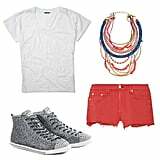 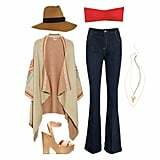 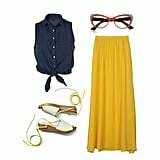 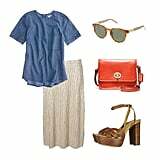 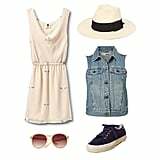 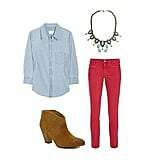 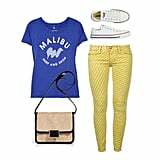 Instead, add in a silky button-up and a cool pair of heels with a fun pop of color to change up your tired-denim routine.